An item in the morning gossip column prompts Lucy to assume that Ricky is seeing another woman, but he assures her that the newspaper piece is merely publicity. To apologize for her lack of wifely faith, Lucy prepares Ricky's favorite dish, arroz con pollo, but her mood changes abruptly when she finds a piece of black lace in Ricky's pocket. He tries to explain that it was torn off accidentally from Tropicana dancer Rosemary's gown during the rehearsal of "Jezebel." To keep an eye on Ricky, Lucy manages to wangle her way into the chorus line and upstages Rosemary during the number. Later that night at home, Ricky tells Lucy there was a "strange girl" in the chorus - ugly, and a terrible dancer. He knew all along that it was Lucy. They kiss and make up. Special Notes: Arroz con pollo (chicken with rice) was Desi Arnaz's favorite dish. This episode appears to have been mistitled. Rosemary is clearly a "girl dancer," not a "girl singer." 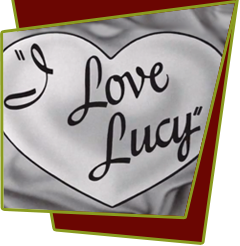 Bloopers: When Lucy goes to wake up Ricky to confront him about the story in the paper, a man's arm in a sport coat is briefly visible on the right side of the screen.